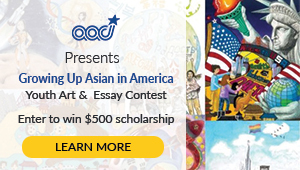 For Japanese American writers and readers, John Okada is our Lady Murasaki — the first to have produced a book-length piece of literature that has undergone rigorous academic examination over a long period of time. In spite of this acclaim, John Okada has remained a bit of a cipher. Although he wrote about a Nisei draft resister, he himself had served with the Military Intelligence Service. “No-No Boy” was his only published novel before he tragically succumbed to a fatal heart attack at age 47. At the time of his death, he had been working on a second novel on the Issei experience, a work-in-progress that had been burned later by his grief-stricken widow, Dorothy. 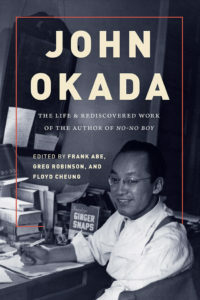 Okada has been an inspiration to many early Asian American writers, most of them men, as well as professors and other lovers of books. 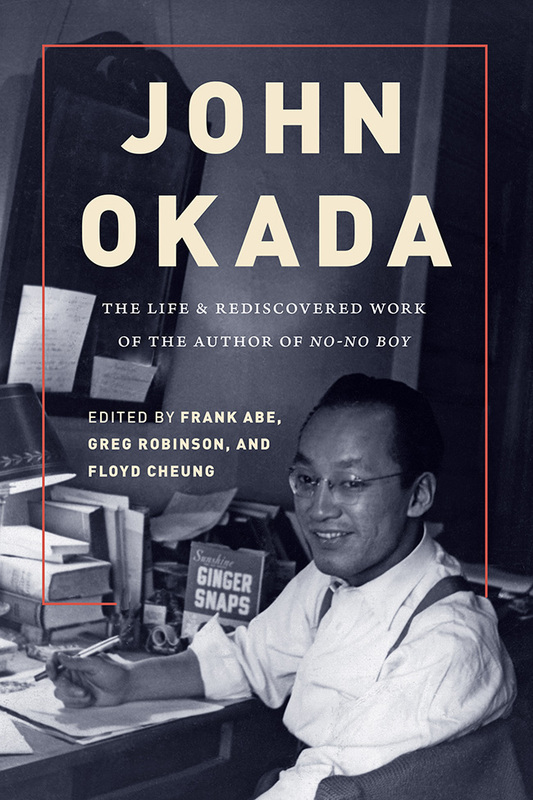 Three documentarians of Japanese American history — Frank Abe, Greg Robinson and Floyd Cheung — have joined forces to edit the first biography of Okada, “John Okada: The Life & Rediscovered Work of the Author of No-No Boy,” published by the University of Washington Press. It’s an extremely readable book, a must-have companion piece to Okada’s novel. It must be consumed after reading “No-No Boy” to understand the references mentioned by the contributors, which include the editors as well as Stephen H. Sumida, Martha Nakagawa, Jeffrey T. Yamashita, Shawn Wong and Lawson Fusao Inada. The biography provides a framework for Okada’s “rediscovered works,” which include short stories, plays, trade articles related to his work in the defense industry, and even a poem written by an 18-year-old Okada immediately after the bombing of Pearl Harbor. Cheung provides a detailed analysis of these works, but I was moved by “Without Solace,” a dark tale of a father mourning his daughter’s death. As Abe described Okada’s infant brother dying from pneumonia only three months before Okada himself was born, I could not help but wonder if somehow this family loss had seeped into Okada’s consciousness. I was most captivated by Okada’s “What Can I Do,” a short story of a vagrant named Jiro, which was originally published by the Northwest Times in 1947. The underclass noir elements recalled the Rafu Shimpo serials of literary predecessor Shoson Nagahara, who wrote in Japanese in the U.S., as well as some of the stories of Toshio Mori, another literary pioneer who was writing during Okada’s time. “No-No Boy” specifically has not been without its critics. 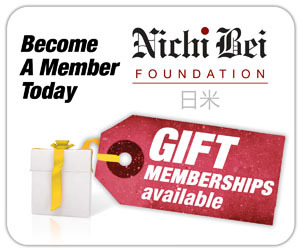 In her essay, Nakagawa tackles the biggest historic problem with Okada’s seminal work — his inaccurate conflation of the term “no-no” with the wartime Nisei draft resisters. Another essayist, Sumida responds by examining Okada’s friendship with an actual resister, Hajime Jim Akutsu, who apparently responded “yes-no” on the loyalty questionnaire but self-identified as a “no-no” boy in principle. As a novelist myself, I understand the importance of historic accuracy, but also believe that fiction allows for broad interpretation. Although Okada was alone at the time that he wrote “No-No Boy,” his novel has withstood the test of time and gained thousands of readers who continue to walk beside him. This beautiful homage to Okada published almost 50 years after his death and 61 years after Tuttle first released “No-No Boy” will both inspire young disenfranchised writers as well remind the community of the talent we lost too soon.